There are over 2 Million blog posts are written every day but the question is how many of those gets attention? 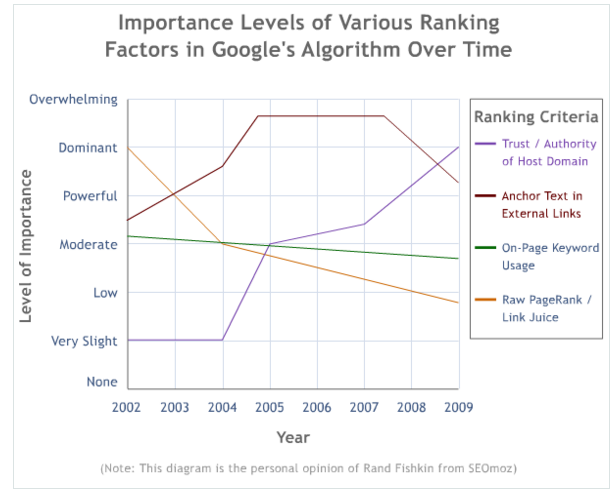 Here visibility means how many of that touch the ranking of search engine. Well to be true, a majority of those not. Either way, only ten results are getting displayed on the first page (ideal case) of search engine and who care to check the following pages? That’s why if you want traffic to flow on your site and get good visibility then you must do something different which can give you the top position in search engine. Also, there are over 200+ Google algorithms for SEO to rank a particular site and so being a webmaster, we should consider all. Also, SEO has been changed completely what it was earlier. We can’t simply focus on the dead tricks to get into the search engine and have to find some good and smart method to do it. So you can see many new methods have come, and so you need to be smart enough to beat your competitors and secure the top ranking. If you are doing these stuff then you may expect some good ranking. But doing these all manually is either not possible or it can take days or even weeks to complete and so a smart blogger takes help of some tools which make their way easy. Topvisor is one such tool which helps you to manage your entire SEO strategy starting from the keyword research to website analysis and fixing those. I am using Topvisor since a week now and here is the Topvisor review based on my one week experience. Topvisor Review: What is Topvisor? Helps you to manage your site well as per the use and search engine point of view. Topvisor’s advanced technology-driven tool pull the data from different major search engine and display the result for you which is more attract. First of all, you can follow this link to sign up for the Topvisor, which is completely free, and you will get a credit of $1. Now you will get an email to verify your account. 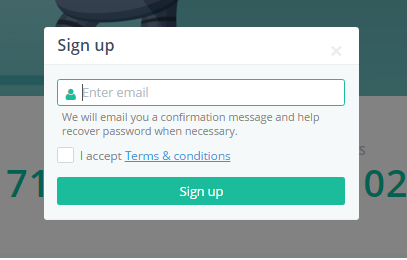 Do it and you will get another email with user id and password, login with that credential and move to the top right corner and click on Balance icon to add some funds to start the campaign. You can add as low as $5 to start the campaign. Now once you are done with the balance, it’s time to move with the projects. Here you will have to add your project to the site for which you want to start. I have added TricksRoad.com and simply saved. This will take you to the dashboard like below. Here you can add search engine which you want to target and the location with few another setting as per your demand. Keyword research is the main part of any SEO campaign. It is the keyword which will decide where your site will go and how it is going to perform and so spend at most time it demands. Always use high volume and low competition keywords for easy ranking. Now start with clustering and select the level. This tool will give you a keyword structure for every page of your site. 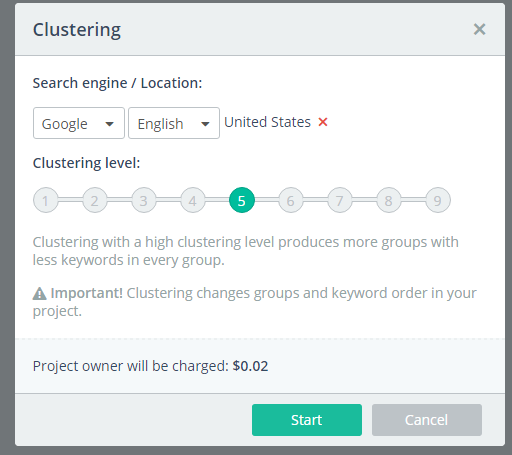 Higher the level, lower will be the number of keywords for every group. This tool will show you the keywords based upon the query you have provided. It fetches the data from all the major search engines like Google, Yahoo, and Bing etc. and show the best result possible. Keyword research tool of Topvisor shows the popularity of the keyword you have added in some particular location. Magnet tool connects to your Google Analytics account and pulls the traffic you are receiving for each keyword and display that. For this, you will have to integrate your Analytics account with Topvisor. This is also a great tool by Topvisor using which you will come to know whether your site/URL is indexed in the search engines you are targeting. For this, you will have to add the URL first and then select the search engine you are targeting and then run the scan and see the result. Here I have run a website audit of my site and see the result. Now based on the recommendations provided by the tool, I will work to get this rectified. You can also download this report or even can send this report on mail if you are working for some client. You can even add the URLs to watch to keep a close eye on those pages for better understanding and tracking. Rank Tracker is another important tool by Topvisor where you can track the ranking of all your keywords corresponding to each targeted pages. 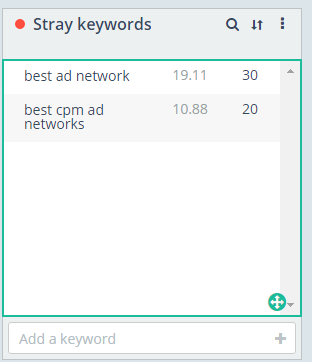 Here you can add the links to your competitors and can follow the ranking for some keywords of yours. Based upon the position, you can work to beat them in the search engine. Topvisor will also send you an automated report regarding the position of your keywords. Topvisor has kept pricing very flexible, and you will get charged as per the uses. You will have to subscribe to some defined plans, but you will be charged as per your use. So depending upon your need, select the plan. Higher the plan, cost per uses will be less. Topvisor is an awesome tool to manage your SEO and website auditing. Experts charge a lot more just for such audit which is just at a nominal price here. If you are serious about the SEO, you should give a try to Topvisor once for the better result. Are you using any tool for your SEO campaign?